We are pleased to welcome Dr. Geraldine Richmond as our inaugural speaker of the Margaret-Ann Armour Lecture Series! Dr. Richmond is a Presidential Chair in Science and Professor of Chemistry at the University of Oregon. She obtained her BSc from Kansas State University and her PhD from the University of California, Berkeley with Professor George C Pimentel. Her current research is focused on using laser-based methods and theoretical simulations to understand chemical processes occurring at the surface of water. Her work has applications in solving important problems related to energy production, environmental remediation and atmospheric chemistry. Dr. Richmond has been a strong advocate for diversity in all areas of science and is the founder of COACh (Committee On the Advancement of Women Chemists), an organisation aimed at increasing the number of women in STEM and providing individuals with the resources required to build a successful career. As a result of her passion for this line of work, she was appointed by former President Obama to the National Board of Science. She is also a Fellow of the American Chemistry Society, the Association for Women in Science, and the American Association for the Advancement of Science. Amongst her numerous awards and recognitions, Richmond has received the Linus Pauling Medal, the National Medal of Science, and the Priestley Medal. We hope you will be joining us for this exciting kick-off event! The University of Alberta’s Working for Inclusivity in Chemistry group is excited to announce the first student-led speaker series in the Department of Chemistry. This speaker series, named after Dr. Margaret-Ann Armour, aims to celebrate diversity in Chemistry by providing a platform for chemists who do outstanding work both in the lab and in promoting diversity and inclusivity within Chemistry. Dr. Margaret-Ann Armour received her BSc and MSc from the University of Edinburgh before completing her PhD from the University of Alberta in 1970. She rejoined the Department of Chemistry in 1979, and has served as the Faculty of Science’s premier Associate Dean of Science (Diversity) since 2005. Beyond her contributions to science regarding hazardous chemical management, Dr. Armour has been a tireless advocate for stronger representation of women in STEM. 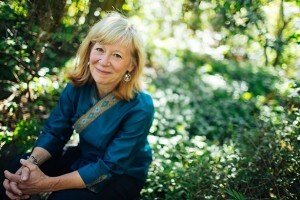 She founded Women in Scholarship, Engineering, Science and Technology (WISEST) at the University of Alberta in 1981, and since its inception, the WISEST programs have reached more than 15,000 participants with 85% of their Summer Research Participants pursuing undergraduate degrees in Science or Engineering. In 2010, Dr. Armour established the Canadian Centre for Women in Science, Engineering, Trades and Technology (WinSETT Centre). As the Associate Dean of Science (Diversity), Dr. Armour developed Project Catalyst, which is aimed at increasing the representation of women in faculty positions in the Faculty of Science. Dr. Armour has received many awards and accolades for research, leadership and outreach activities. She received the McNeil Medal from the Royal Society of Canada in 1994, and a 3M Teaching Fellowship, Canada’s top award for excellence in undergraduate teaching, in 1996. Dr. Armour was named a member of the Order of Canada in 2006. Maclean’s Magazine recognized Dr. Armour as one of Ten Canadians Making a Difference in 2003, and she was twice listed by the Women’s Executive Network as one of the Top 100 Most Powerful Women in Canada. Dr. Armour has also received honorary degrees from her alma mater, the University of Edinburgh, as well as the University of British Columbia, the University of Alberta, the Northern Alberta Institute of Technology, MacEwan University, and Memorial University of Newfoundland and Labrador. We would like to announce that we have decided to modify our student group name. We will refer to the group as Working for Inclusivity in Chemistry moving forward. We believe this change reflects our goals and better encompasses the ideals of UAWIC and its members. We will be updating our constitution to reflect this change and we encourage our members to attend our Fall Open House on Thursday October 11 to learn more about our student group initiative. Join us for a fun evening of crocheting and camaraderie with fellow members of the Women in Chemistry Group. No prior knowledge is necessary, as we will have an instructor present to teach all the beginners! Registration fee includes workshop kit, an instructor, and some light snacks. The UAlberta Women in Chemistry invites you to a Panel Discussion with our very own Department of Chemistry faculty. Please join us on Wednesday, Mar 14 in E4-43 at 9:30 am for a frank discussion on life in academia. Complimentary cookies and coffee will be served. The UAlberta Women in Chemistry invites you to a Panel Discussion with our very own Department of Chemistry staff. Please join us on Tuesday, Jan 30 in E4-43 at 10 am for a frank discussion on different career pathways in chemistry. Complimentary cookies and coffee will be served. M.Sc. (Physical Chemistry) “Washington State University”, Pullman, Washington, U.S.A.
Volunteer Graduate Thesis Editor for Students whose Native Language is not English. Michele Richards, received her B.A. in Chemistry at the University of Nebraska-Lincoln in 1996, her M.Sc. in 1998 from the University of Wisconsin-Madison with Prof. Samuel H. Gellman, and, after a period in industry, her Ph.D. in 2012 with Prof. Todd L. Lowary at the University of Alberta. Michele is currently a postdoctoral researcher in the Alberta Glycomics Centre working with Prof. Christopher W. Cairo and Prof. John S. Klassen; her research focuses on molecular dynamics simulations of glycolipids, glycoproteins, and glycosyl hydrolase enzymes. Leah Veinot, grew up in Vancouver, B.C. where she graduated from UBC with her B.Sc. in Chemistry in 1994. In 1997, after completing a Masters degree in Atmospheric Chemistry, from York University, she started working as an application specialist for Brinkmann Instruments Ltd. in Mississauga, Ontario (now part of Metrohm). About a year later she realized her dream of becoming an instructor when she received a teaching position at Seneca College in Toronto. When her family moved to Chicago, Illinois, USA shortly thereafter she again worked in industry, this time as an application scientist with Mettler-Toledo Bohdan. Over the past 15 years she has worked in academics and raised 3 children. She has worked as an instructor at UofA (lab), Grant MacEwan (lab), and NAIT (lab and lecture) and for the past 3 years she has worked in administration, as the ATUMS program coordinator. Please consider attending and bringing your colleagues along. Join the conversation and help us become part of the solution. The UAlberta WIC group invites you to join us for a meet and greet session in E3-25 with Dr. Helen O. Leung and Dr. Mark D. Marshall on Thursday, Jan 11 at 12:00 pm. In this informal discussion, you will get the chance to talk to Dr. Leung and Dr. Marshall about career paths in science. Everyone is welcome to participate in the discussion while enjoying complimentary pizza lunch. Please RSVP, if you are interested in attending. 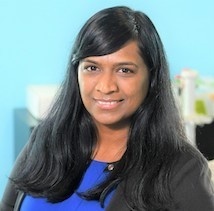 We are pleased to announce one of our plenary speakers for LOGIC 2018 – Dr. Mita Dasog from Dalhousie University! Dr. Mita Dasog obtained her Bachelors of Science in 2009 from the University of Saskatchewan. She then moved to the University of Alberta to begin her Doctoral studies with Dr. Jonathan Veinot where she focused on the syntheses, properties, and applications of silicon based nano/micromaterials and thin films. After a short stay at Technical University of Munich as a Green Talents visiting scholar, Dr. Dasog went on to hold an NSERC post-doctoral fellowship with Dr. Nathan Lewis at the California Institute of Technology, where she studied the interaction of light with semiconductors. She joined the Dalhousie University Chemistry Department in July 2016 as an Assistant Professor. Since beginning her independent career in 2016, Prof. Dasog’s research interests include the solid-state synthesis of functional nanomaterials, mesostructures for solar light harvesting, and printable thin conducting oxide (TCO) nanoparticle inks. Dasog has received numerous awards including the Canadian Council of University Chemistry Chairs (CCUCC) Chemistry Doctoral Award, the CSC Award for Graduate Work in Inorganic Chemistry, a “Top 25” Global Young Scientists in Sustainable Research award sponsored by the German Federal Ministry, and was recently listed among top 150 Canadian women in STEM fields by hEr_VOLUTION, a non-profit organization. She will be joining us on Saturday May 26th to share her inspiring path to a career in chemistry. Registration for LOGIC 2018 is now open, sign up here!